Foong is a 4th year medical student currently completing an honours year at the University of Tasmania. He enjoys rock climbing and medical research, often in that order. International medical electives (IMEs) are rapidly growing in popularity. A recent study by Law and colleagues  conducted across Australia reported that 53% of graduate entry program students and 35% of high school entry students undertook IMEs, of which just over half were in developing countries. 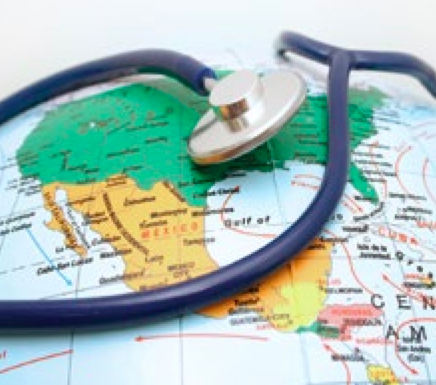 In some medical schools the majority of students head overseas for their electives. This phenomenon is not restricted to Australia; in the United Kingdon (UK) and United States (US) roughly 40% of students reported having spent some time in developing countries. [3,4] Many universities across Australia now have global health interest groups, and an increasing proportion of graduating medical students report having some experience in overseas health. Traditionally, these electives are unstructured and arranged on an ad hoc basis between local partners and medical students. However, the results of the aforementioned studies have to be interpreted with caution. Unlike other aspects of the medical course, IMEs tend to be student driven and lack a structured curriculum. Therefore many of the outcome measures are highly subjective and were assessed with unvalidated questionnaires. Given the observational nature of these studies, it is difficult to establish a causative relationship between IMEs and outcome measures. There is also the potential for selection bias (for example, where IME participants were chosen based on their commitment to global health) and publication bias in this area. [8,10] Given the subjectivity of the current literature, it remains unclear if there are indeed any long-term benefits for medical students. Of note, much of the research on IMEs has revolved around medical students from OECD (Organisation for Economic Cooperation and Development) nations instead of host institutions or patients. Given the short term, transient nature of many IMEs, it seems unlikely that there will be any long term benefits to the local institution. There is potential for limited, temporary benefits such as increased supply of resources, incorporation of new teaching ideas, and positive support from local communities. However, even this can turn out to be a double edged sword, as local institutions develop reliance on visiting medical students. Furthermore, there are cases where the donated equipment end up draining more of the hospitals resources in the long run, or are unable to be maintained. This is not to say that there are not examples of IMEs that have had a positive impact. However, these programs tend to be structured, continuous partnerships between hosts and visiting students with a clear long-term goal. Unfortunately, the vast majority of IMEs lack such a structure. A significant proportion of IMEs involve students from developed countries heading to less developed countries. These include pre-clinical students with little to no practical medical training. As students they require proper supervision and this puts added strain on already scarce resources in developing countries. In addition to this problem, many students perceive electives as a holiday, tending to be ill-prepared both culturally and medically for the experience. In worst case scenarios, the student may be placed in a position where he expected to take on the role of a qualified physician and is given responsibility for their own patients. There are several reports in the literature of junior medical students being asked to participate in potentially risky procedures such as lumbar puncture and tubal ligation. Students often try to rationalise this by adopting a utilitarian viewpoint, arguing that no one would look after these patients if they did not step up to the plate. The moral boundaries in these situations are vague and to date there are few established guidelines. However medical students must bear in mind that practicing beyond one’s competency is a serious breach of medical ethics. Students risk doing more harm than good, particularly when they may not be fully aware of the complexities associated with unfamiliar medical conditions and treatments. To further aggravate this problem, patients in developing countries tend to be vulnerable and greatly disadvantaged. The risk of students developing their skills at the expense of vulnerable patients is a very real one that is probably under-reported in the literature. Anecdotally, we often hear of medical students speak proudly about having been able to perform surgeries or risky procedures on their own with little supervision. There is often a lack of critical reflection surrounding this phenomenon, and clear ethical guidelines should be developed for students. The motivation behind IMEs is slowly evolving. Traditionally, altruistic reasons were often quoted as the driving factor in medical students pursuing IMEs where students had a genuine interest in serving resource poor areas. [15,16] However, gaining a competitive advantage with the increasing demand for experiences in developing countries has become an important motivating factor. Global health programs look good on a CV and with training programs becoming more competitive, the proportion of students participating in IMEs for this reason will increase. Numerous studies encourage pre-departure training as a way to increase awareness of ethical issues, encourage critical self-reflection, and practical preparation. [13,19] In spite of the physical dangers and ethical dilemmas that are sometimes posed by IMEs, studies have shown that basic practical and ethical preparations for students travelling abroad was low. Only three quarters of Australian medical schools offer pre-departure training, however only half of these are mandatory. The average duration of pre-departure training was 4.7 hours. Only half of Australian medical schools offered post-elective debriefing, out of which roughly half was mandatory. The average duration of post-elective debriefing was 1.2 hours. Medical schools have a duty of care towards medical students and it seems surprising that there is a significant lack of preparation for what is often a unique and unusual experience. With the increasing ease and affordability of international travel, IMEs will continue to have a growing appeal to medical students. However there is a dangerous lack of critical thought and reflection in terms of the ethical aspect of IMEs, as well as the possible threat to student well-being. Given the strong consensus in the literature for more structured global health education, medical schools should consider developing training programs aimed at enabling students to conduct considered, structured and sustainable IMEs. Saion Chatterjee for his assistance and feedback in editing the draft manuscript. Law IR, Worley PS, Langham FJ. International medical electives undertaken by Australian medical students: current trends and future directions. 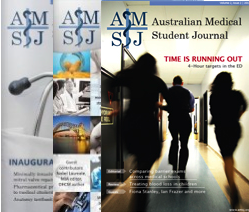 The Medical journal of Australia. 2013;198(6):324-6. Epub 2013/04/03. Goldsmid JM, Sharples N, Bettiol SS. A Preliminary Study on Travel Health Issues of Medical Students Undertaking Electives. Journal of Travel Medicine. 2003;10(3):160-2. Dowell J, Merrylees N. Electives: isn’t it time for a change? Medical Education. 2009;43(2):121-6. Association of American Medical Colleges. Medical School Graduation Questionnaire Report: 2000. Washington, DC: October 2000. Mutchnick IS, Moyer CA, Stern DT. Expanding the Boundaries of Medical Education: Evidence for Cross-Cultural Exchanges. Academic Medicine. 2003;78(10):S1-S5. Thompson MJ, Huntington MK, Hunt DD, Pinsky LE, Brodie JJ. Educational effects of international health electives on US and Canadian medical students and residents: a literature review. Academic Medicine. 2003;78(3):342-7. Drain PK, Holmes KK, Skeff KM, Hall TL, Gardner P. Global Health Training and International Clinical Rotations During Residency: Current Status, Needs, and Opportunities. Academic Medicine. 2009;84(3):320-5 10.1097/ACM.0b013e3181970a37. Ramsey AH, Haq C, Gjerde CL, Rothenberg D. Career influence of an international health experience during medical school. Fam Med. 2004;36(6):412-6. Epub 2004/06/08. Matar WY, Trottier DC, Balaa F, Fairful-Smith R, Moroz P. Surgical residency training and international volunteerism: a national survey of residents from 2 surgical specialties. Canadian journal of surgery Journal canadien de chirurgie. 2012;55(4):S191-9. Epub 2012/08/03. Imperato PJ. A third world international health elective for U.S. medical students: the 25-year experience of the State University of New York, Downstate Medical Center. Journal of community health. 2004;29(5):337-73. Epub 2004/10/09. Vora N, Chang M, Pandya H, Hasham A, Lazarus C. A student-initiated and student-facilitated international health elective for preclinical medical students. Medical education online. 2010;15. Epub 2010/02/27. Banatvala N, Doyal L. Knowing when to say “no” on the student elective: Students going on electives abroad need clinical guidelines. BMJ: British Medical Journal. 1998;316(7142):1404. Petrosoniak A, McCarthy A, Varpio L. International health electives: thematic results of student and professional interviews. Medical Education. 2010;44(7):683-9. Radstone SJ. Practising on the poor? Healthcare workers’ beliefs about the role of medical students during their elective. Journal of medical ethics. 2005;31(2):109-10. Epub 2005/02/01. Powell AC, Casey K, Liewehr DJ, Hayanga A, James TA, Cherr GS. Results of a national survey of surgical resident interest in international experience, electives, and volunteerism. Journal of the American College of Surgeons. 2009;208(2):304-12. Huish R. The Ethical Conundrum of International Health Electives in Medical Education. Journal of Global Citizenship & Equity Education. 2012;2(1). Wilkinson D, Symon B. Medical students, their electives, and HIV. BMJ (Clinical research ed). 1999;318(7177):139-40. Epub 1999/01/15. Tyagi S, Corbett S, Welfare M. Safety on elective: a survey on safety advice and adverse events during electives. Clinical medicine (London, England). 2006;6(2):154-6. Epub 2006/05/13. Dharamsi S, Osei-Twum J-A, Whiteman M. Socially responsible approaches to international electives and global health outreach. Medical Education. 2011;45(5):530-1. Bozorgmehr K, Schubert K, Menzel-Severing J, Tinnemann P. Global Health Education: a cross-sectional study among German medical students to identify needs, deficits and potential benefits (Part 1 of 2: Mobility patterns & educational needs and demands). BMC Medical Education. 2010;10(1):66.